 Perodua has showcased the Myvi at the ongoing 2018 Kuala Lumpur International Motor Show, albeit with a slightly sporty twist. Called the Myvi GT, this kitted-up B-segment hatchback features a redesigned front bumper with LED strips at each end, along with much larger air intakes. 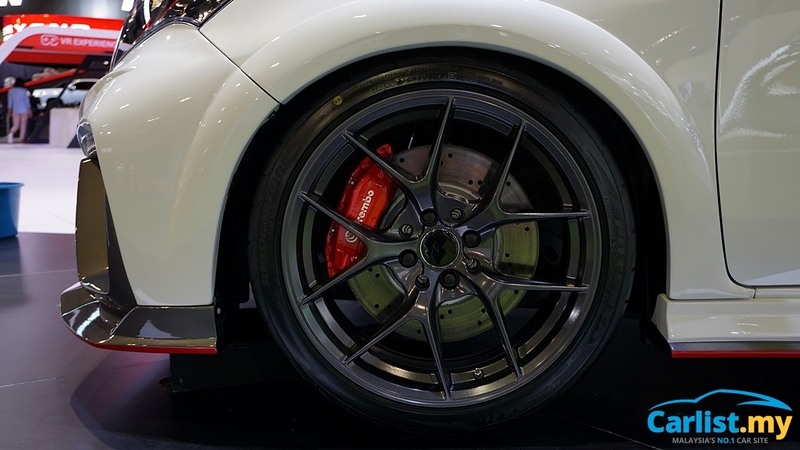 The sides are adorned by 17-inch wheels wrapped in 205/45 R17 Bridgestone Potenza RE003 rubber, with Brembo brakes hiding behind. 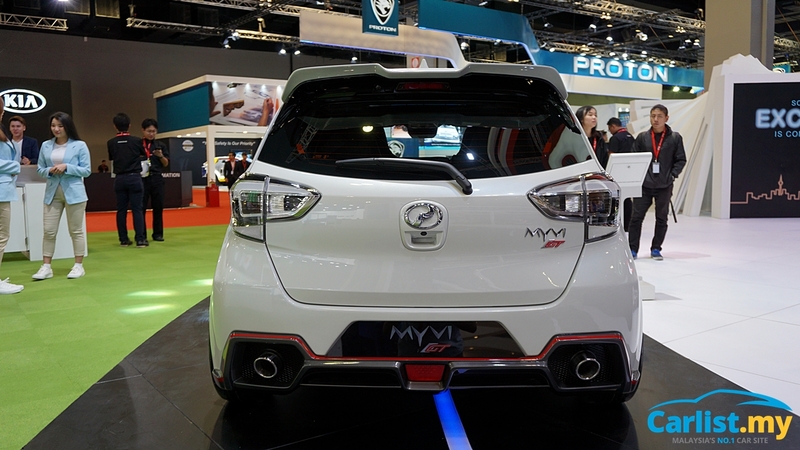 Towards the rear, the Myvi GT gets a revamped rear bumper with twin muffler tips and a centrally-mounted reflector. Unlike the regular Myvi models, the Myvi GT seen here also gets clear-type tail lights. Red highlights can be found throughout the exterior and interior of the Myvi GT, giving the little hatchback a sportier appeal. Speaking of the interior, the Myvi GT also receives a carbon fibre steering wheel and a pair of semi bucket seats up front.